The ReDIM™ Management team is comprised of visionary, experienced, and passionate leaders dedicated to the success of ReDIM's customers, partners, employees, and the company at-large. Their combined experience ranges across every industry, company-size, and business philosophy, providing the ReDIM™ community with strong direction and stewardship in every conceivable business scenario. 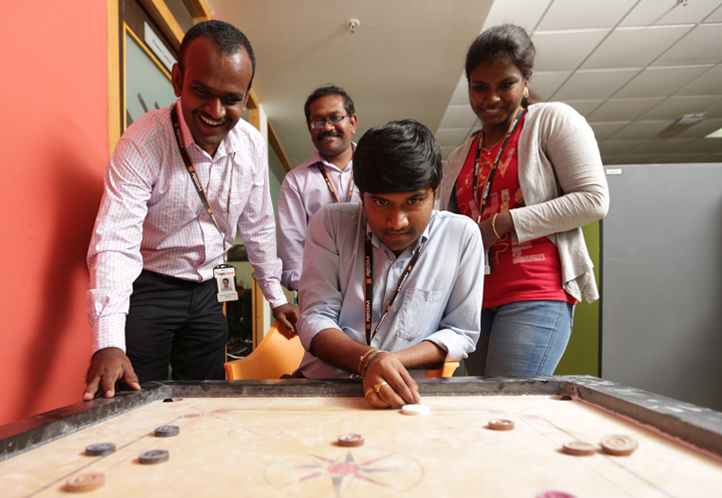 ReDIM’s founders, including CEO Aravind Srinivasan and COO Ramanan Shanmugam, remain the driving force behind the company’s success. 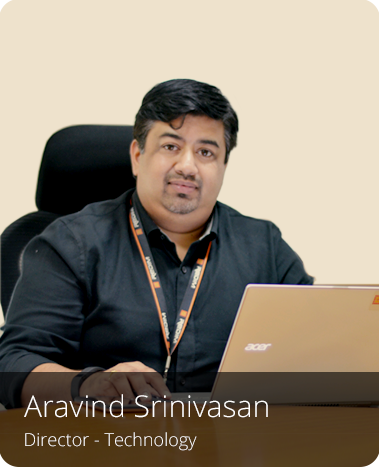 Aravind Srinivasan - Co-founder & CEO is a merit scholar from Tula State University, Tula, Russia with a B.Tech (Hons.) degree in Computer Engineering. He has more than 16 years in Software Development, Project Management and Quality Management. He has a track record in leading and managing big projects in the IT sector. He also plays a key role in international business development and partner management within the company. Aravind has rich and varied experience in product development and management experience ranging from offshore program management to managing software delivery. 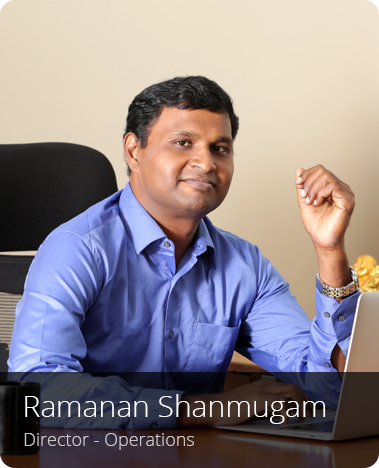 Mr. Ramanan Shanmugam – Co-Founder & Director of Operations, is a B.E graduate from Sir.MVIT, Bangalore, provides leadership to the business activity. 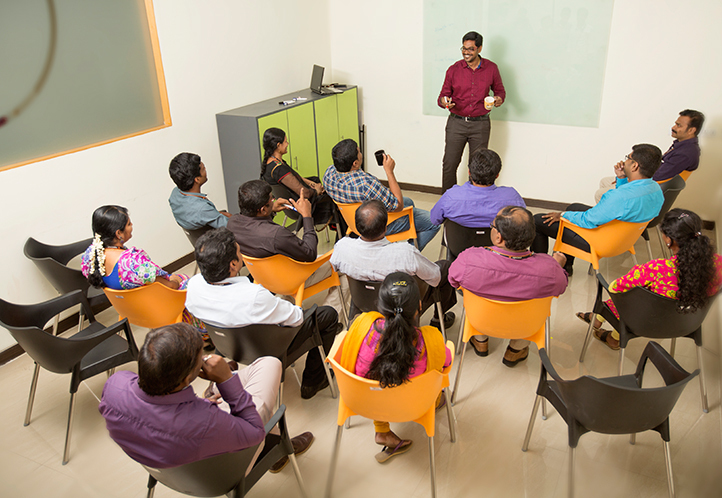 He has been in the IT industry for 13 years in Software Development and Project Management. His excellent business sense and entrepreneurial abilities have contributed to the setting up of the company in a very short span. 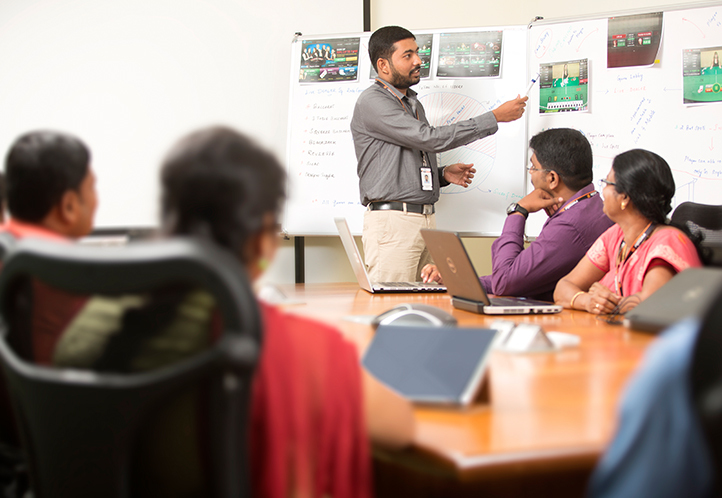 In addition Ramanan, in his role of COO, is also responsible for leading the rest of the service delivery teams at ReDIM™ (Application Development, Web Applications, as well as Online advertising). 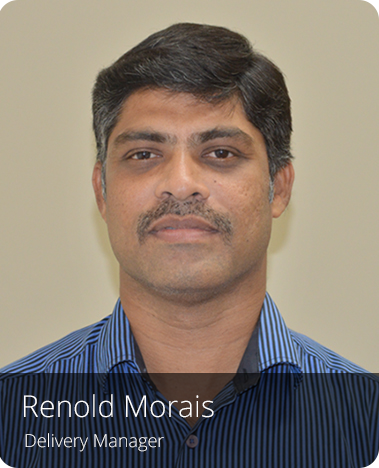 He is the force behind pushing ReDIM™ towards process implementation and certifications. 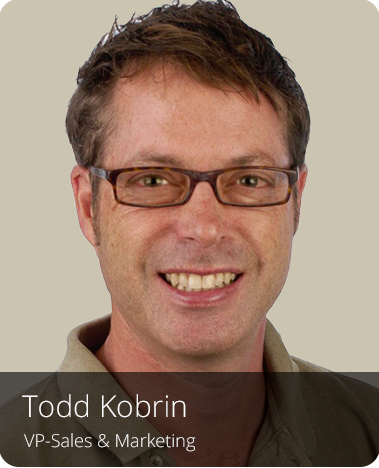 Todd has over 15 years of digital marketing experience. Todd was SVP at 888 Holdings responsible for launching the famed iGaming brand in over 40 countries worldwide. Todd has worked on the marketing of such global brands as: Red Bull, Samsung, T-Mobile, WSOP to name a few. Todd holds a BA in Broadcast Journalism from USC and a MBA from Technion Israel Institute of Technology. 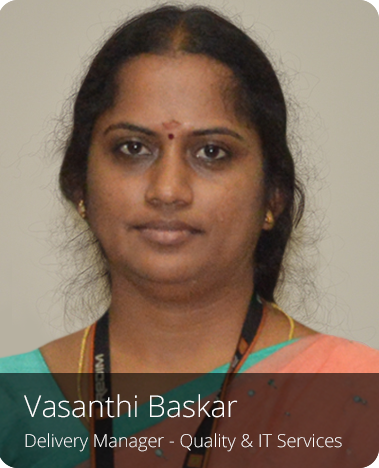 Vasanthi has around 18+ years of extensive experience in Process Definition, Implementation, Certification & Improvement of process against ISO, CMMi and Six Sigma. She is a IRCA(UK) accredited Lead Auditor for Information Security management, Information service management and Business continuity management. Conducted various Trainings and Implementation level programs in Organization including ISO, CMMi and Six Sigma and has also trained and certified professionals on Internal quality audits and Six Sigma. As Associate Delivery manager, she spearheads Process, Testing and IT Services portfolios and in turn helps ReDIM accomplish process goals and ensure product quality. Vasanthi and her team had successfully completed Testing of several critical projects and products to our Client’s satisfaction and appreciation. On the Process front, she meticulously lead the team towards achieving ISO 9001, ISO 27001, ISO 20000-1 in an integrated manner and aligning with the Management’s vision and goal, which was a significant milestone for ReDIM. Renold has over 15 years of experience working in the iGaming industry. As Associate Delivery Manager, he is responsible for the project deliveries, project management of programmes and of course, managing the development team. He enjoys working with customers throughout the entire process from the initial specification to the final product, bringing together different areas of expertise to help resolve issues and identify solutions. He is passionate about making the deliveries faster, using automation, keeping things lean. He holds a master degree in computer science. 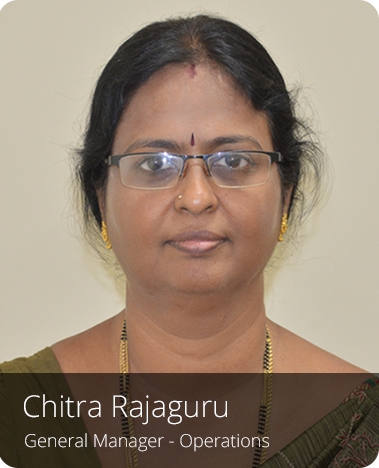 Chitra holds a Masters Degree in Human Resource Management. She has more than 20 years of experience and plays a key role in Budget & Policy formation, Recruitment, Resource Management, Capacity Management, Compensation & Benefits, Training, Employee Relations and ISO Process implementation & adherence. She also overseas Admin and Finance functions of the organization. She has been instrumental in building and motivating teams in meeting organizational goals and bringing cost effectiveness in the functions she has been responsible for.